We had been in the Grand Teton area for about 4 days and had not been allowed to go down to the landing due to road works and the workers equipment being parked in the lay by preventing people going down the road to the river. As we were leaving the area we noticed that the rangers were allowing people to go down to the landing. 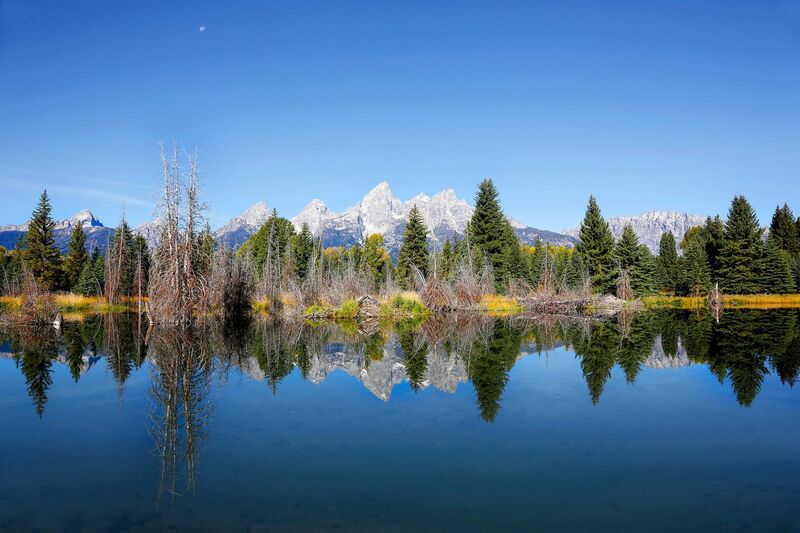 We were not disappointed, the snake river was perfectly calm and the Schwabacher Landing reflections, Grand Teton were to die for.